Photokeys, a brand new iOS keyboard, lets you set unique keyboard color combos derived from your photos. You can either shoot a new photo or pull one from your Camera Roll. 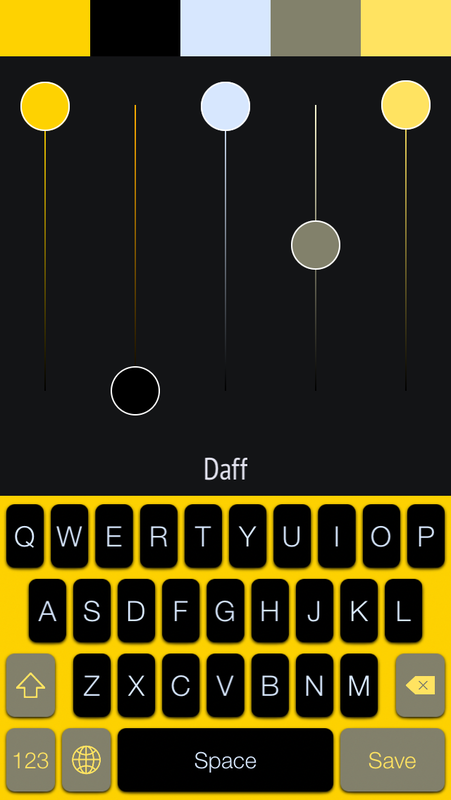 The app automatically selects the major colors in the image and assembles them into a five-color palette. The app chooses the colors, but you can intervene to place the color markers wherever you want. 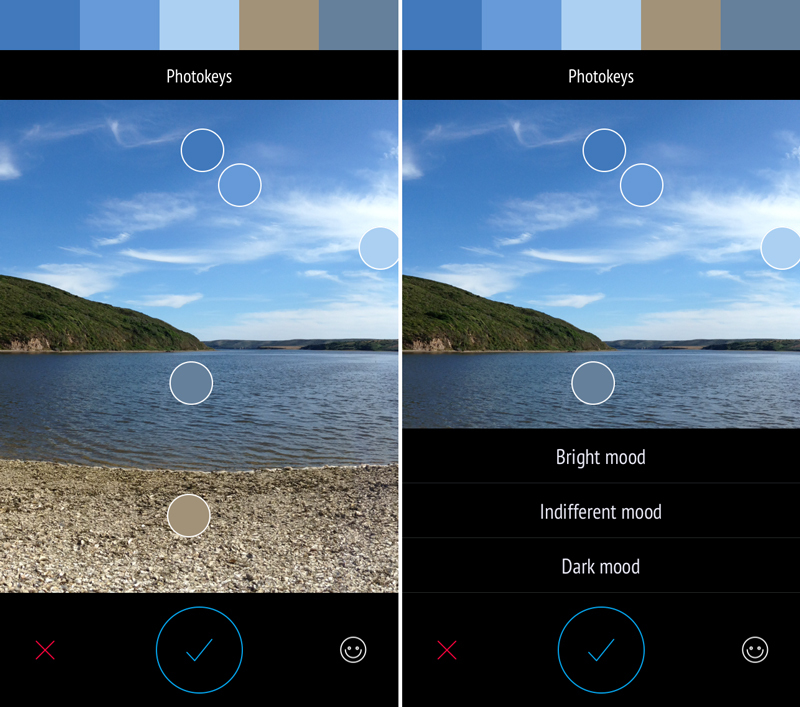 A little smily face button lets you set the palette “mood” to Bright, Indifferent or Dark. Each color is then assigned to a certain part of the keyboard: Background, text button background, text button color, functional button background and functional button text color. But regardless of the mood you chose, you will likely use the sliders to adjust each item’s color for maximum readability. In addition to coloring your keyboard, Photokeys provides quick access to the top 100 emoji emoticons from the keyboard. It works in any app and supports settings such as auto-correction, predictive input, numeric top row, auto-capitalization, caps lock and more. It’s fun for people who like lots of variety and mixing up their smartphone or tablet interface. You can easily switch out of Photokeys on the fly if you want to restore the default keyboard or use a different one. Photokeys is a universal app for the iPhone and iPad and is available for 99 cents from the App Store.